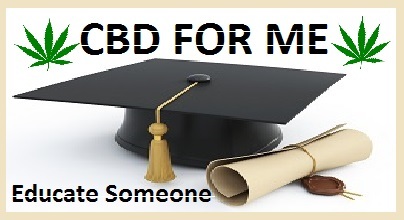 Cbd cannabis has been used for thousands of years, both recreational and medically. People all over the world know the effects of cannabis, yet until 20 years ago, no one knew how it worked within our bodies. In the early 1990s, research scientists identified a system they named "the endocannabinoid system”. This system is located in our brains and bodies. The system is made up of cell receptors and of the chemicals that bind to these receptors. This system has been identified in the some of the most primitive creatures on earth. It has been found to be the most widespread receptor system in the human body, explaining why cannabis has so many different effects. The endocannabinoid system appears to regulate many important physiologic pathways in the human body, including gastrointestinal activity, cardiovascular activity, pain perception, maintenance of bone mass, protection of neurons, hormonal regulation, metabolism control, immune function, inflammatory reactions, and inhibition of tumors cells. The cannabinoids interact with the receptors, much like a lock and key. The receptor is the lock and the cannabinoid molecule is the key. When the cannabinoid "key” attaches to the receptor "lock” (located in the cell wall), a reaction is triggered resulting in an effect on the brain and body. For instance, the area of the brain that controls memories is called the amygdala. When cannabinoids bind to the receptors on the cells of the amygdala, memory is affected. For those that suffer from past traumatic events who relive horrible memories (such as those with Post Traumatic Stress Disorder), the triggering of the cannabinoid receptor appears to change the brain function and memories are minimized. A study using weakly radioactive THC-like synthetic drugs investigated where the human cannabinoid receptors were located. When people were given this radioactive drug and their brains were scanned, CB1 receptors were found all over the brain. The results showed that cannabinoid receptor binding sites in the human brain are localized mainly in: the forebrain areas associated with higher cognitive functions; the forebrain, midbrain and hindbrain areas associated with the control of movement; and in hindbrain areas associated with the control of motor and sensory functions of the autonomic nervous system. This is consistent with the fact that cannabis has many different effects on mental function.